It is hard to believe that we are at the third book in the Kai Gracen series. Black Dog Blues was one of the first full-length novels I’d written inside of an urban fantasy genre I’ve always wanted to explore. 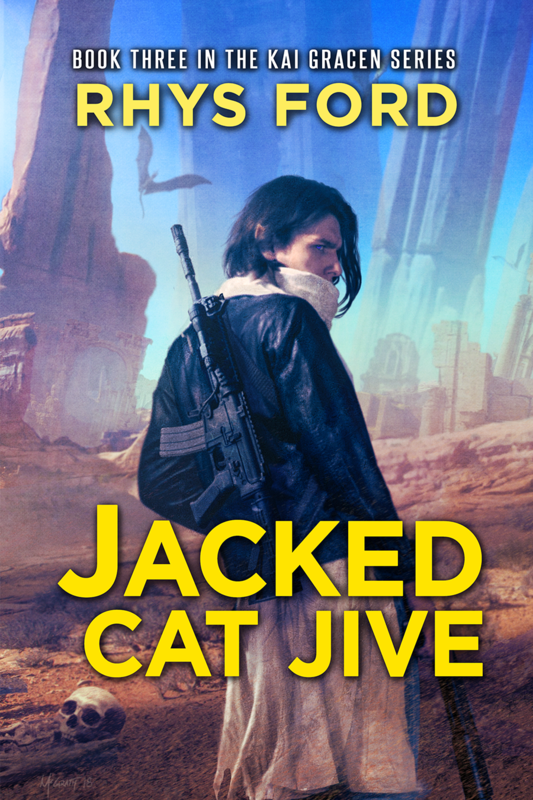 The best part about writing Kai Gracen is creating not just the personalities but also the world they inhabit and it’s been great to blend in the fantastical with the mundane. In his third outing, Jacked Cat Jive, Kai is faced with unique challenge of realizing he really is not as human as he thought and that the Court and its inhabitants mean something to him other than a thorn in his side. And of course, there is always Ryder, the Sidhe Lord who gets under his skin in the best of ways. I’ve enjoyed writing the push and pull of their relationship but also the growth between them as characters. They started off at very different points of view and are slowly working towards an understanding while also fending off any challenges that come at them. This time out, Kai is not only set to rescue a group of refugees from the Badlands beneath San Diego, he also has to come to grips with his growing friendship with Ryder and how the humans in his life are getting older, something he won’t experience himself for quite a long time. So I hope that you join Kai and his next adventure and also enjoy this serialized story of Ryder and the trouble he gets into when he doesn’t listen to what Kai says. Also, I invite you to enter the giveaway on each of the blogs during the tour and get a chance to win a $25 USD gift certificate from an e-tailer of your choice. Comment with your email to win! And other places books are sold. He was beautiful and deadly, so much like the dragons our kind revered. Perched precariously on a runaway bison probably wasn’t the best time to be awestruck by Kai Gracen but there was little I could do about my reactions to him. Even as angry as I was and how much I would love throttle him to death at that moment, I knew I never could. Not just because I wouldn’t be able to bring myself to do it but also because Kai could easily skin me alive and debone my flesh with one of the many knives he had hidden about his body before I could launch an attack. Much like the dragons, Kai was not one to poke at. “How?” I shouted through rattling teeth. I was stupid enough to try to get a look at where the bison was taking me and nearly lost hold. The creature was moving too quickly and from what I could see, there appeared to be a very large chasm in my immediate future. I’d always thought myself fairly in shape. I trained every day with Alexa and spent a good portion of my puberty learning about military strategies and combat skills but what Kai proposed was insane. My back was to the car and even if I was able to maneuver my legs around or under me, I was going to have to swing in and hope my core strength was good enough to hold my weight. I wasn’t cut out for these kinds of things. I was a diplomat. A leader of my people. Not some hardscrabble monster bounty hunter with less sense than an ostrich — I knew what one of those was — and a death wish. Because if anyone ever had a death wish, it was definitely Kai and he seemed bound and determined to drag me along for the ride. The bison was definitely flagging and the lions were becoming larger, their powerful bodies seemingly filled with endless energy when I specifically recall Kai telling me they were sprinters mostly, not long-distance runners. I wish someone had told the lions that because by now, they should have fallen off their prey so I could of let go. I did let go. Or at least unhooked my legs from the beast’s torso. Scrabbling for a very tight hold on its thick pelt, I lifted my aching limbs up, bringing my knees as close to my chest as I could then took a leap of faith and punched them back out as Kai brought the car as close to the animal as he could. I felt his hand grab the waistband of my jeans, yanking me towards him and the hard scrape of the rubber gasket along the window frame tore at my skin but I couldn’t seem to get my fingers to work and they cramped, refusing to let go of the bison. I’d been holding on too long, too hard and now they were locked into place, my knuckles torn raw by the roughness of its hairy shoulders. Kai yanked hard, pulling me towards him and I was once again reminded how much stronger he was than me. He’d spent his life hunting and hauling back enormous predators, mostly the ainmhi dubh who preyed on the edges of civilization, arcane creatures more vicious and capricious than the lions running us down. Another vicious pull on my waistband and my fingers gave in to the pressure, pulling free of the bison’s pelt. I ached too much to do more than fold down into the seat and a second later, the car was spinning, driven into an about-face maneuver Kai could probably do with his eyes closed. The car fought the road, bucking much like the monster I rode moments before as its tires sought some kind of purchase across the broken asphalt. The herd veered, tearing right and back up across the prairie, furry minnows leaping through a golden sea of waving grasses. Panting heavily, I watched them disappear into a dip, losing sight of the creature I’d clung to for so long. The lions gave chase but they were finally worn out, plunging into the grasses with little hope of catching up. Next to me, Kai straightened the car and hurtled us back down the road we’d traveled on, taking us towards the city. He didn’t so much as look at me but I could feel his repressed anger rolling off of him like sheets of heat. Or, much like a dragon bathing its victims in fire. “Kai —” I began but he shook his head, gritting his teeth with an expression I knew all too well. He was frustrated and about to blow. Stalker Kai Gracen knew his human upbringing would eventually clash with his elfin heritage, but not so soon. 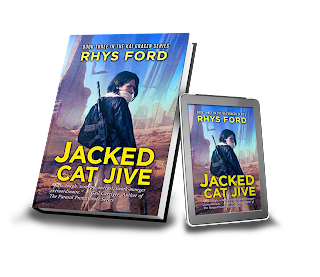 Between Ryder, a pain-in-his-neck Sidhe Lord coaxing him to join San Diego’s Southern Rise Court, and picking up bounties for SoCalGov, he has more than enough to deal with. With his loyalties divided between the humans who raised him and the Sidhe Lord he’s befriended and sworn to protect, Kai finds himself standing at a crossroads. When a friend begs Kai to rescue a small group of elfin refugees fleeing the Dusk Court, he’s pulled into a dangerous mission with Ryder through San Diego’s understreets and the wilderness beyond. Things go from bad to downright treacherous when Kerrick, Ryder’s cousin, insists on joining them, staking a claim on Southern Rise and Kai. Burdened by his painful past, Kai must stand with Ryder against Kerrick while facing down the very Court he fears and loathes. Dying while on a run is expected for a Stalker, but Kai wonders if embracing his elfin blood also means losing his heart, soul, and humanity along the way. And if it’s even worth it. Follow the rest of the Jacked Cat Jive Tour! Rhys Ford is an award-winning author with several long-running LGBT+ mystery, thriller, paranormal, and urban fantasy series and is a two-time LAMBDA finalist with her Murder and Mayhem novels. She is also a 2017 Gold and Silver Medal winner in the Florida Authors and Publishers President’s Book Awards for her novels Ink and Shadows and Hanging the Stars. 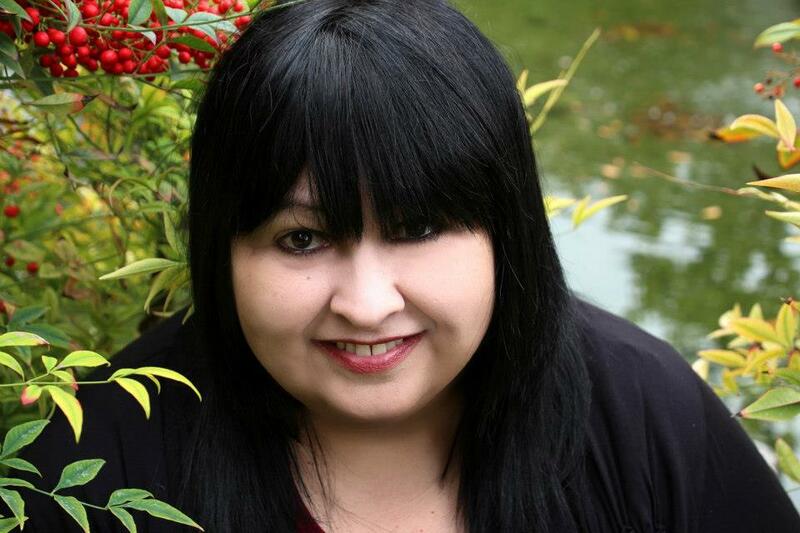 She is published by Dreamspinner Press and DSP Publications. She’s also quite skeptical about bios without a dash of something personal and really, who doesn’t mention their cats, dog and cars in a bio? She shares the house with Harley, a grey tuxedo with a flower on her face, Badger, a disgruntled alley cat who isn’t sure living inside is a step up the social ladder as well as a ginger cairn terrorist named Gus. Rhys is also enslaved to the upkeep a 1979 Pontiac Firebird and enjoys murdering make-believe people. Am I heartless that I laughed so hard reading this?!?!?! Thank you for such fun snippet, Rhys! I need this. Thank you! Oh boy - that was one heck of a misunderstanding! Thanks for the great story. Lmao! Nova wil flash in my head every time I see a cow from now on.Thank you? I’m so glad the bison got away. Glad I don’t own a Nova now, lol. Thank you. The was too funny I love the bickining between the two. Thank you Rhys for giving us great characters. Definitely makes me want to read these books. Too funny. Looking forward to release day.. I'm 100% sure that's not as good of an excuse as Ryder thinks it is. I am SO loving this story line! LOL. Loved it. Thank you! Loving my time with Kai and Ryder. Great post and Ryder is saved by Kai, and very angry Kai! I can definitely empathize with that moment you realize you're not as in shape as you thought you were. 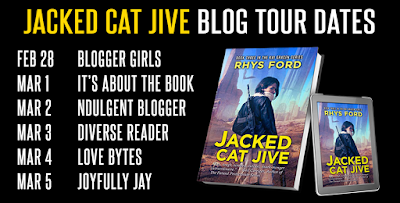 I always look forward to Rhys's blog tour stories! I'm intrigued by this series.